Today, I had some paper piecing fun. I used the Bear/Bunny Paper Piecing set and cut from both black and cement colored cardsock. I then placed the pieces where they should be using Glossy Accents as my adhesive. My card base was made using the Oval Pop A Top die, and the Nested Oval die set. 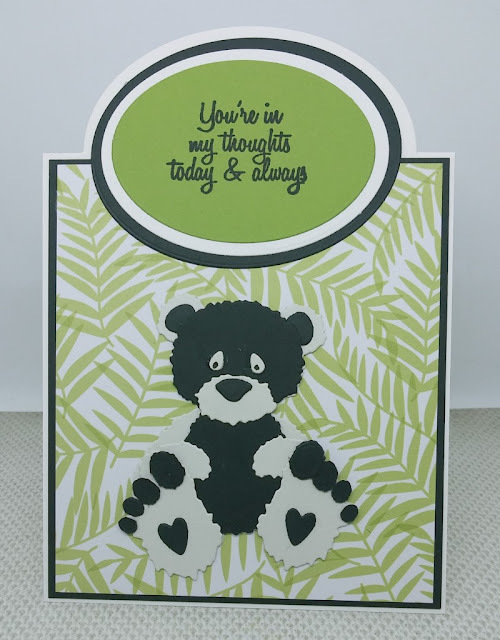 I used pattern paper from American Crafts as the background for this little Panda that I pieced together. This was the closest I could find to simulate bamboo leaves. 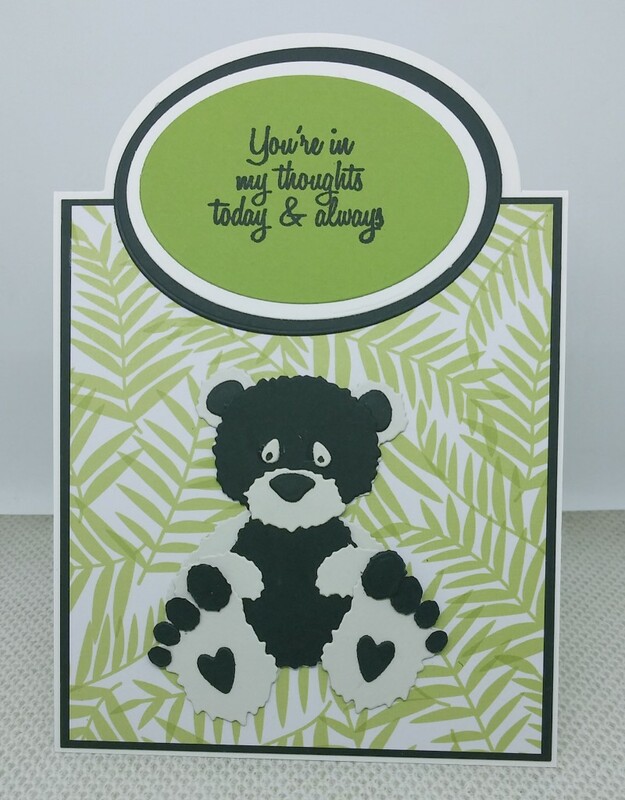 The sentiment came from the Happy Day stamp set, and stamped in VersaFine Onyx Black.